Now, here's a healthy dish you are all going to go ga-ga over! Mushrooms are not only low in calories but also rich in protein, folic acid, and various other nutrients. Folic acid plays an important role in the formation of red blood cells and also protects the heart from the dangerous homocysteine. 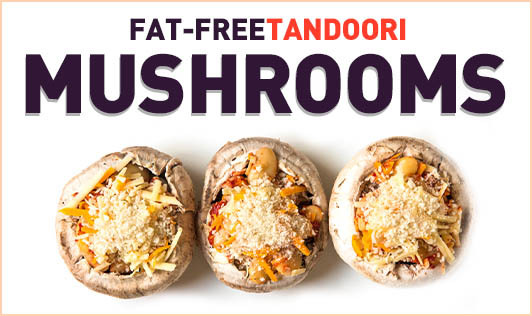 If you don't like mushrooms, you can always opt for paneer instead. • Wash the mushrooms thoroughly. Drain and keep aside. • Mix cornflour and milk together to make a paste and keep aside. • Heat a nonstick pan and cook the prepared paste along with methi leaves for a minute. • Add a little water if the mixture becomes too dry and keep the flame medium while cooking. • Now add the mushrooms, corn flour mixture, curd, and salt. • Stir for 4 to 5 minutes, until the mixture coats the mushrooms.